This industry comprises establishments primarily engaged in site preparation activities, such as excavating and grading, demolition of buildings and other structures, earthmoving and land clearing for all types of sites (e.g., building, non-building, mining) are included in this industry. It is often done using heavy machinery, such as track dozers, off-road dump trucks, and excavators to roughly prepare an area. Then using a fine grade dozer for a smooth finish. 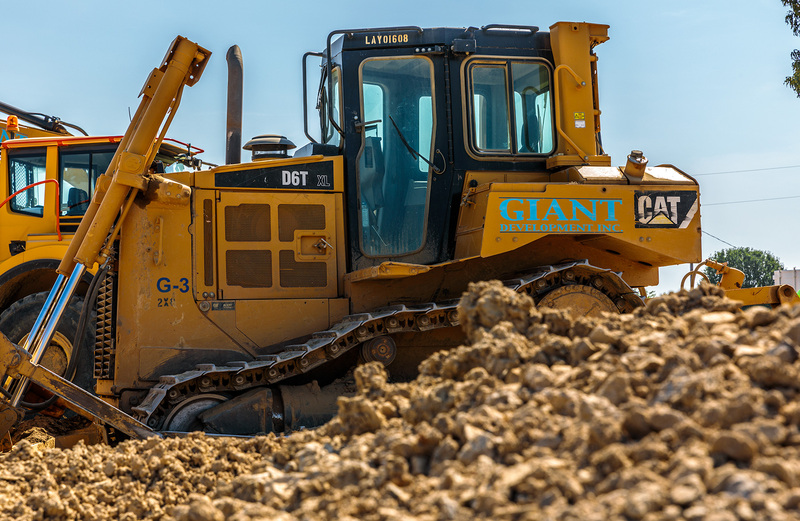 Giant Development utilizes state-of-the-art equipment and experienced operators. 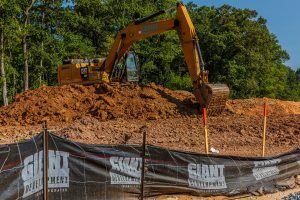 Our grading services handle a full range of earthmoving projects to prepare commercial development sites for the construction of buildings, roads, parking lots, and many other uses. 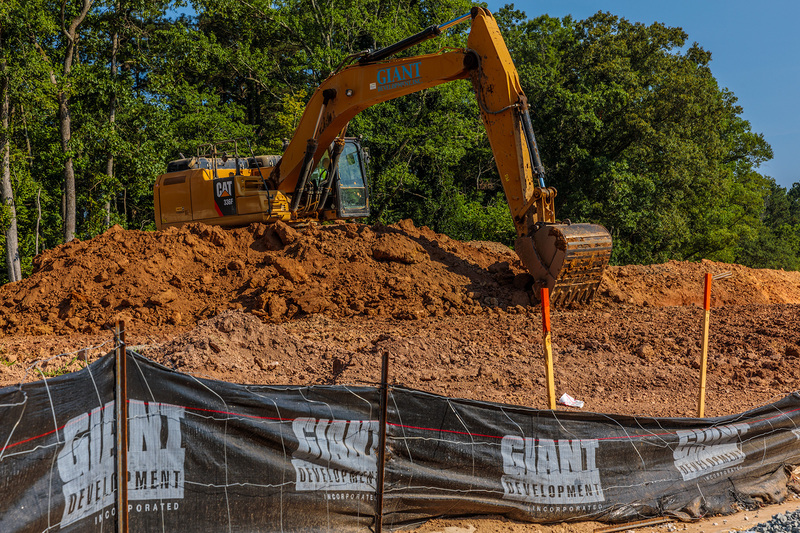 This industry covers general and special trade contractors primarily engaged in the construction of water and sewer mains, pipelines, and mainline connection to future private homeowner systems. Water and sewer construction is heavily influenced by growth or decline in the construction industry. Since new homes require a water supply and sewage treatment facilities, developers usually pay for water and sewer systems for new subdivisions. Hiring utility subcontractors to install the network of infrastructure and appurtenances to service the site as per the approved plans reviewed by the local, state, and sometimes federal authorities, for compliance with typical engineering practices, and prior to the systems making a connection to the POWWTS (Public Owned Waste Water Treatment System). Specialized contractors licensed in their respective states make these connections and install the network of utilities to accomplish this for their respective owner/developer and in turn comply with the municipal oversight.